With the increase of mobile application usage in the country, it is no wonder that the number one job search site in the Philippines is taking a leap with the release of the very first mobile application that presents a new and exciting service for applicants who would like to be in the know of the most recent career opportunities in and out of the country - the Jobstreet.com Mobile App. 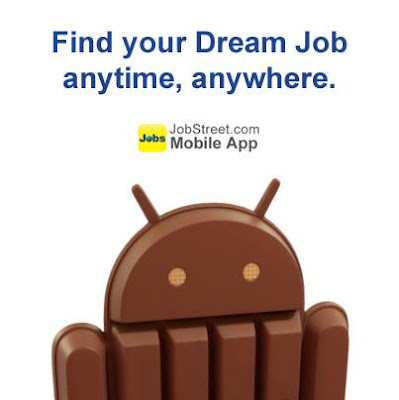 Available in App Store, Google Play, Blackberry World and Windows Market, the Jobstreet.com Mobile App is set to make job searching easier, anytime and anywhere. According to Yoda Buyco, Jobstreet.com's Marketing Director, in the recent study conducted by Jobstreet.com, it shows that there's a significant increase in number of Filipinos who own Internet capable gadgets, like smartphones, laptops and tablets, hence it is just rightful for the company to finally release a mobile application that will help millions of Filipinos to find the job that suits to their capability and preference. And with applicants dependency on online sources for job vacancies, Buyco added that its is about time that the company offers something that comes handy and can go along with the demands of the people. 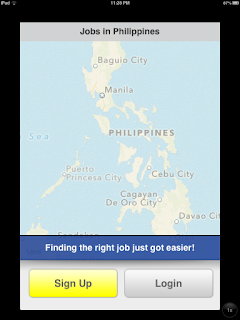 According to her, candidates now prefer to use job portals and check company websites over walk-ins and getting referrals that why they think that with the release of this job-searching mobile app, a lot of Filipino will finally find their "dream job." 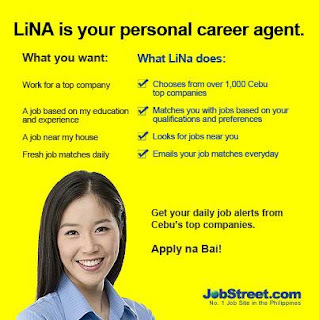 In a luncheon meeting which they hosted a few days ago, online media guests where told that Jobstreet.com's website is currently housing over 90,000 job postings daily from more than 22,000 companies ranging from the growing BPO industry to communications, medical, industrial and clerical industries. 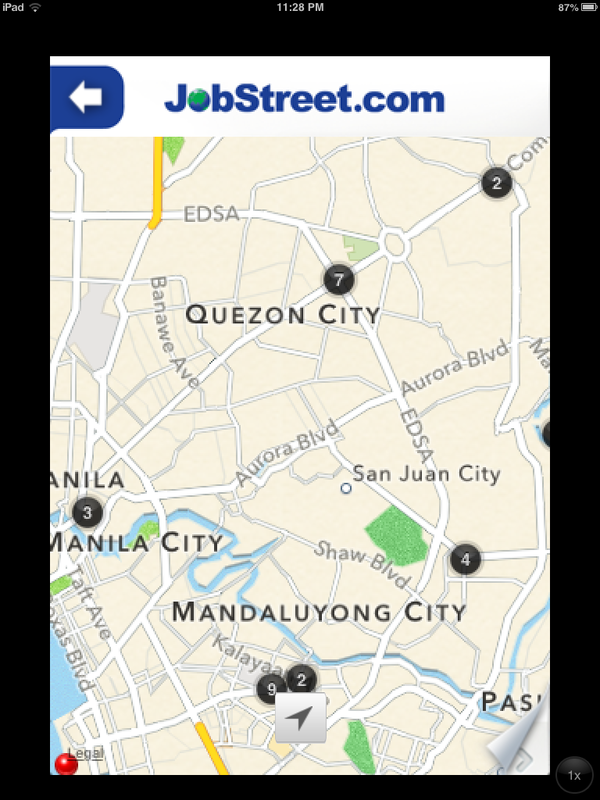 So, how to use Jobstreet.com Mobile App? 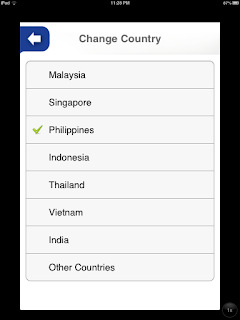 Candidate must download the free mobile app from the App Store, Google Play, Blackberry World and Windows Market. Key in your username and your password (same with the one that you have when you are using a desktop computer). Once you keyed them in, the mobile app will then automatically synchronized your Jobstreet.com account. This may take a few minutes, and once it's done, you ca now start searching job. The Jobstreet.com Mobile App allows candidates to search, browse and apply to jobs. 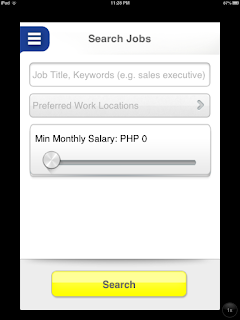 You can easily browse available jobs because the app includes filter which include job title, skill, keywords, location and even the expected salary. And the best thing about this app, if you think a family or friend fits to the available job, you can forward the post to them via email. Grace Colet, Philippine Country Manager of Jobstreet.com shared that since it was made available, the download of Jobstreet.com Mobile App has grown 13% month on month in the past five months. 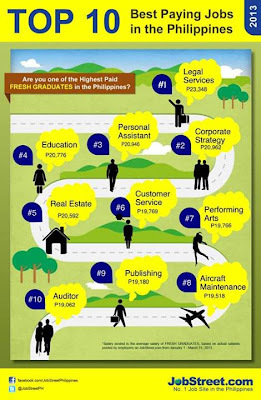 And if before, for the the combined percentage of applications that they are receiving is just around 5%, now it grows to 18% - a huge rise that made them happier because it only means they are helping a lot of Filipinos find their dream job.